Located in the heart of Fish Hawk Ranch Garden District, is where you will find this beautifully maintained 2 story home with soaring ceilings and tons of natural light. The Den/Office and formal dining area are just off the foyer leading you into the family room with dramatic volume ceilings, 5 and 1/4" baseboards, built in book shelves, wood burning fireplace and floor to ceiling windows. The eat-in kitchen is a chef's delight with granite countertops, large center island, stainless steel appliances including a gas range, and tons of counter space for prep and serving. The downstairs master suite has a garden tub, dual sinks, separate shower, and large walk in closet. Upstairs features an expansive loft area, 2 bedrooms separated by a Jack and Jill bath, and a 4th bedroom with it's own bathroom making it a perfect place for your guests. Spend your evenings out on the covered patio overlooking the fenced backyard and covered entry to the oversized 2 car garage. 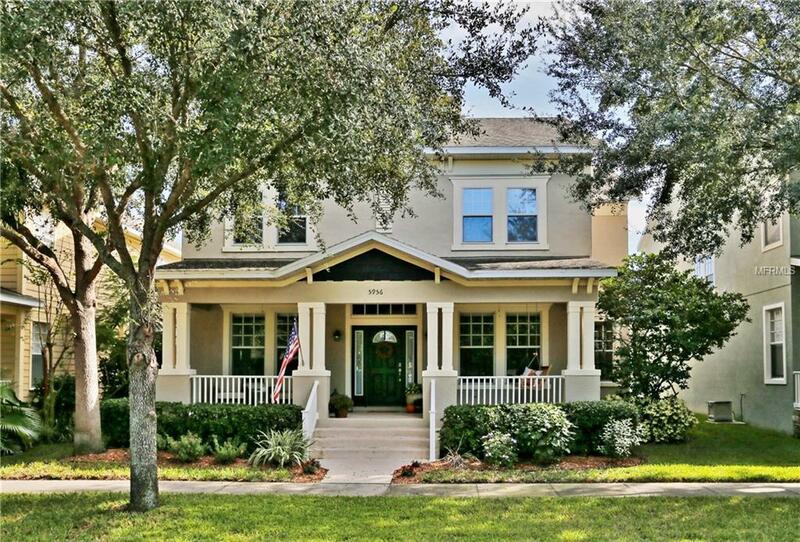 Enjoy the curb appeal and the beautifully maintained yard from your front porch swing, just steps away from The Palmetto Club, Park Square, Aquatic Club pool, fitness center, and playground, FishHawk Creek elementary school, and over 20 miles of walking/running trails and wildlife. Make an appointment to see this beautiful home today!